The museum welcomes appropriate exhibitions raised by individuals, and local associations and businesses. These temporary exhibitions are of one month's duration and are held throughout the Museum's open season (from Easter Saturday until the last weekend in October). Such exhibitions are held in the Rudkin room, named after our founder member, David Rudkin. Have you a hobby or collection that could form an exhibition? Perhaps you have an interesting collection of items or photographs maybe or you have completed your family tree, and you would like to bring this to a wider audience. Maybe you have an important occasion or anniversary you would like to mark with an exhibition. Whatever stage you are at with the formation of your proposal, you are urged to contact us. Advice and experience is available to help you plan and mount your exhibition. The museum is always looking for articles about Emsworth its environs and its people for publication in its annual journal Echo The Editor will be pleased to discuss intended submissions, or articles in final form, with you. You can contact the Echo Editor. Short articles may be more suited to the Newsletter. Please do contact the Newsletter Editor with your thoughts or intentions. Alternatively the museum always requires more detailed knowledge of the elements of its collection for steward's or visitor's information. If you would like to be active in this area then your enquiry to the Museum Curator , will be welcomed. If you are keen to pursue an interest of this sort, but feel you lack experience, you will find that there are a number of experienced (even knowledgeable!) members only too willing to give advice, help or even mentoring to you. 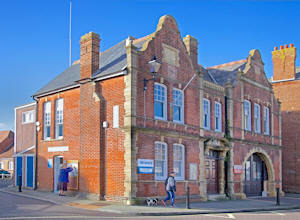 The museum aims to be a place of learning for all members and visitors concerned with Emsworth local history. Please feel free to contact the Museum Curator about your interest. Enthusiasm is all that is required, ability can be developed.